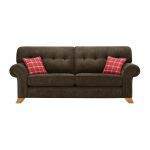 The Montana 3 seater high back sofa in Charcoal offers the perfect mix of town and country, with gently curved scroll arms, button detailing, and flared feet. The classic shape gives it a timeless appeal, while studs on the front of the arms add a subtle touch of modernity. Charming yet smart, it’s sure to bring warmth and character to any living room. Enjoy luxury comfort thanks to plump-free seat cushions and a fibre-filled high back, which offer a quality look and feel over the long-term. 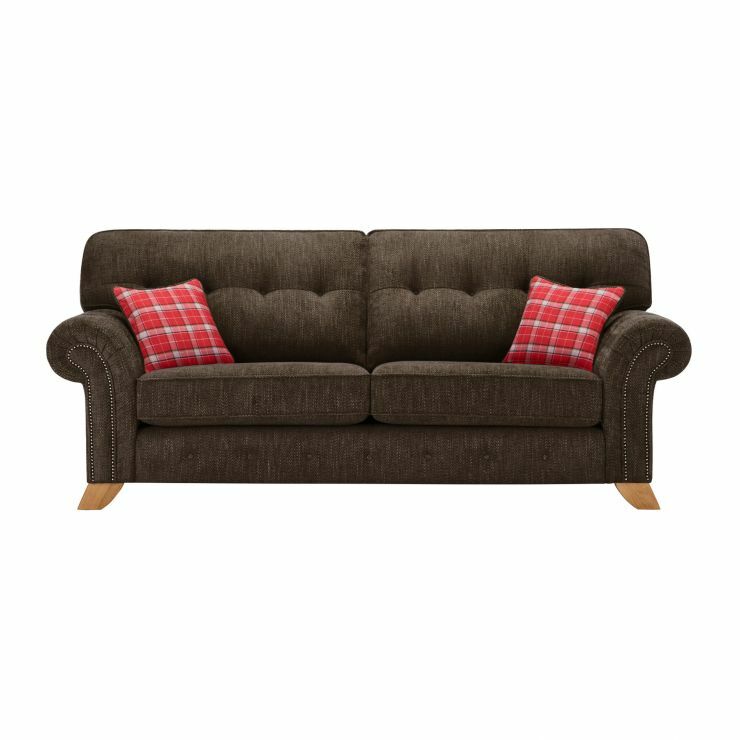 Real hardwood is used to construct the frame and feet, meaning you can depend on the Montana 3 seater high back sofa for long-term strength and durability. Pair it with a matching footstool – explore the Montana Range to complete the look in your home.